Personalized Wedding Barn Card Box - Ready to Ship. I also include a personalized laser engraved plaque with your Names and Wedding date. The Wedding Card Holder is 13" w x 17" h x 11" inches deep and will hold 100+ cards. This is the original Wedding Card Holder by the original designer. The best quality design and hand-crafted Wedding Card Box anywhere. This will be the centerpiece for your reception gift table and future home. In order notes please lay out your sign on 1 - 3 lines. You do not have to use all 3 lines. Please limit the number of characters per line so your names and date stand out more. If possible use "&" instead of "and". (Less is more!) Please note I do not add, edit or delete from sign information submitted in order notes. Please be accurate with sign information because I copy and paste your exact information to be laser engraved. Your sign information is automatically centered left to right. Your text needs to be accurate with all punctuation's, upper or lower case characters, spacing etc. It is $10 to re-run signs. 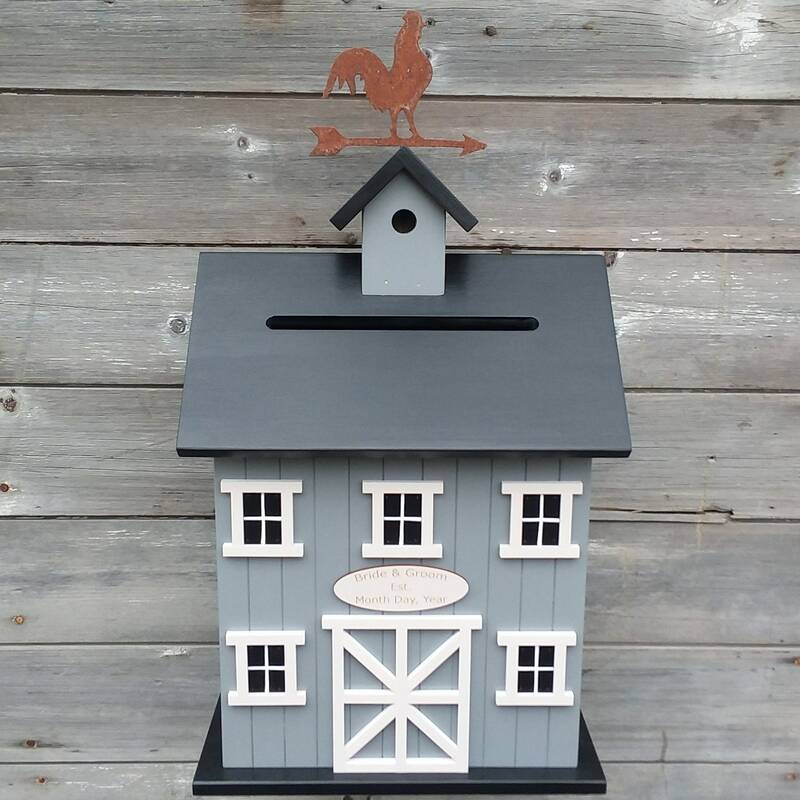 I build each Wedding Card Holder and birdhouse as if it is for my own Family. Please see my reviews.